The Trans-Pennine Challenge is contested by members of the two regional hot air balloon clubs either side of the Pennines: PRBA and NWBAC. The competition runs from 1st January to 31st December. 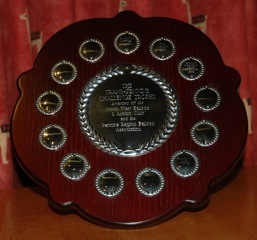 The trophy is awarded to the member who flies the longest distance (measured in a straight line) from one side of the Pennines to the other without intermediate landings, re-fuelling or swapping flight cylinders.